This week's US Chess League matches had serious playoff implications in both divisions. The highly anticipated bout between the New York Knights and the top ranking New England Nor'easters ended in New England's favor, 2.5-1.5, thanks to a great win by IM Sam Shankland over GM Giorgi Kacheisvili. FM Braden Bournival wrote an interesting blog about the success of New England's season so far. Boston, New York, and Baltimore remain in 2nd, 3rd, and 4th place, with Manhattan behind by a full point. The New Jersey Knockouts are holding on to their playoff hopes by a thread, but the Carolina Cobras and the Philadelphia Inventors have been officially eliminated from playoff contention. The playoff picture has somewhat cleared up in the Western Division, thanks to a decisive week (no drawn matches in the West). After a close win over the Chicago Blaze, the Arizona Scorpions are now comfortably in 1st place with a 6-2 record, and they have clinched a playoff berth. Meanwhile, the Saint Louis Archbishops, with a powerful triple-GM lineup, defeated the San Francisco Mechanics 2.5-1.5. This win moves Saint Louis up to 3rd place, behind Chicago, while the Mechanics now share 4th place with the Miami Sharks, who beat the Los Angeles Vibe. The Dallas Destiny won convincingly over the Seattle Sluggers, but neither team will be able to make the playoffs without a little bit of help. This match was really important, as both teams were trying to keep playoff hopes alive. The result was a drawn match where the top three boards all had serious complications while NM Arthur Shen of New Jersey was able to slowly and impressively outplay his opponent in an equal position. This game started out very unusually, so it was interesting to see how the Grandmasters developed their pieces and pawns without having theoretical knowledge of the position. This has only been played once before, but the idea is to play Bg4 and post the knight on f5. 3...c5 is the main move. 5.c3 looks natural but after 5...Bg4 6.Be2 Bxe2 7.Nxe2 e6 Black gets a good French Defense where he's already traded off his bad bishop. 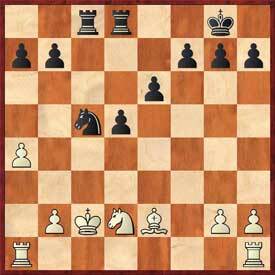 7.Ngf3 leads to interesting developments 7...e6 8.h3 (8.Nb3) 8...Bxf3 (8...Nf5!? 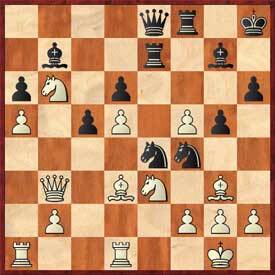 9.Nb3 (9.hxg4 Ne3 10.Qe2 Nxc2+ 11.Kd1 Nxa1 is unclear) 9...Ng3 10.Rg1 Bf5 11.Bb5 Be7 and the position seems dynamically balanced) 9.Qxf3 Bxc5 10.Nb3 Bb6 looks very good for Black. 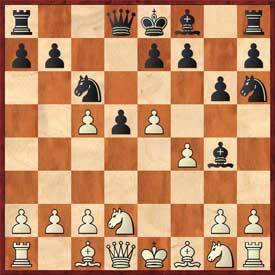 8...e6 was probably the way to go, 9.Nb3 Bxc5! 10.Nxc5 Qa5+ 11.c3 Qxc5= and Black has very few worries. White will get a get a good blockade square for his knight on d4. After reaching a theoretically known and unbalanced endgame, IM Sam Shankland was able to outplay on of the top GMs in the United States. This piece sac was the main line in this opening until just a few years ago. This position that has been reached over 400 times. The game continued as usual--players traded queens early and reached an endgame where Black had three healthy pawns for a piece. This line went out of style because White had been able to play on in an equal endgame without risk, and Black had to play very carefully to avoid losing, making sure White didn't use his extra piece to the full extent. 14...Na6 15.Nxc4 0-0 16.Qe5 Rfd8 17.Be2 Nc5 18.Qxd5?! 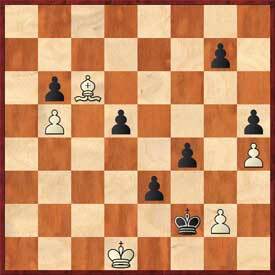 I think this was a bad exchange for White, because Black's central pawns became very strong. Better would be 18.Rhd1 Qxg2 19.Rxd8+ Rxd8 20.Rd1 Rf8 (20...Rxd1 21.Qb8+) 21.Qxc5 Qxe2+ 22.Rd2 Qe4+ 23.Kb3 with a very unclear position. 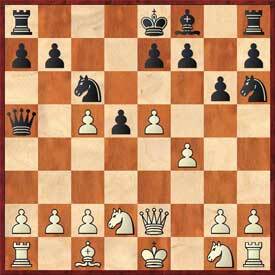 Black's pieces couldn't be better coordinated and he can now start to push his passed pawns forward without risk. Better was 21.Nb3 Nxb3+ 22.Kxb3 g6. The only way to get the rook into play. 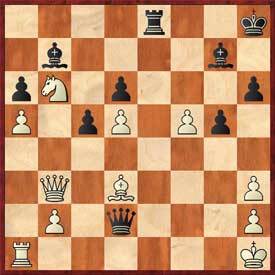 27.Rb5 I think White should repeat moves here, although it is possible that GM Kacheisvili thought he needed to play for a win based on how the match was going. 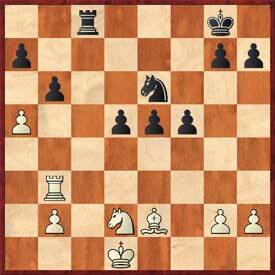 Another factor to consider is that Black can simply play 27...Rd8 28.a5 Rd6 with a slightly better position. Trading on c5 would be almost hopeless for White. 35.Na4 Nxb4 36.Bc8+ Ke5 37.Nxb6 d4 is better, but Black still has good winning chances. Heading to c4 to protect the b6 pawn if necessary. Removing access to the g4 square once Black pushes the f-pawn, meaning the white bishop won't be able to defend properly. 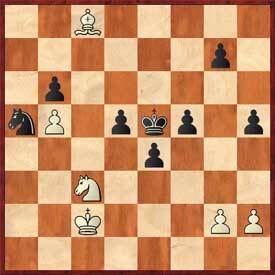 Obviously, the h-pawn will be lost after Bd7-e8, but IM Shankland might have already seen to the end of the game, realizing that the Bd7-e8 maneuver would take way too much time. 38.Bxf5 Kxf5 39.Nxd5 Nc4 40.Kc3 Nd6 41.Kd4 Nxb5+ 42.Ke3 Nd6 43.Nxb6 is possible, but the endgame is still winning for Black. 38...f4 39.Bd7 Nc4 40.Nd1 Kd4 41.Be8 Ne3+! Trading off White's main defender, the bishop won't be able to stop the pawns by itself. Great endgame technique by IM Sam Shankland! A very nice shot where Black had to have had the 29th move in mind already. 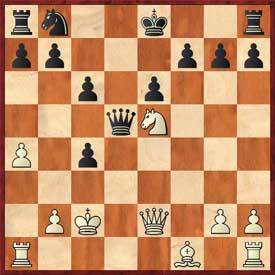 Best was 28.Kh1 Rxd3 29.Rxd3 Nxd3 30.Qxd3 Qe5 31.Bg3 Qxf5 32.Qe2 with an unclear position. The point of Nxf2, and now smothered mate is threatened with Qg1+, as well as Nf2+, winning back material. 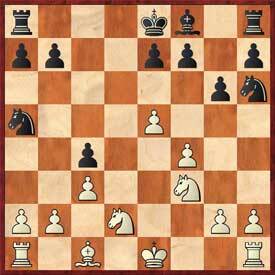 Black emerged with a significant advantage that Larry was able to convert later on. Update: Larry has also earned game of the week honors for his win. NM Agner of the Carolina Cobras produced on the largest upsets (if not the largest) in USCL history, with a great win over SM Jorge Sammour-Hasbun of the Boston Blitz. 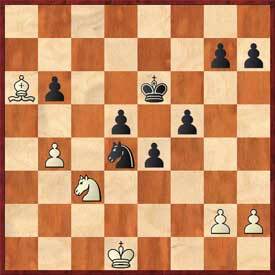 A very sharp King's Indian Defense allowed Agner the opportunity to create serious tactical threats against the White king, leading to a 352 point upset! That's all for this week! Check back here every week for USCL highlights. Follow all Week Nine action live on the Internet Chess Club, and find pgn downloads, line-ups, blogs and Game of the Week details on uschessleague.com.